I might be getting further from the glitz and glamour of Hollywood on Route 66, but I have just met my first movie star. Well, I say movie star – she was actually the inspiration for a movie star, in the form of Sally, the blue motor from the film Cars. Dawn – a movie star. All will be revealed! 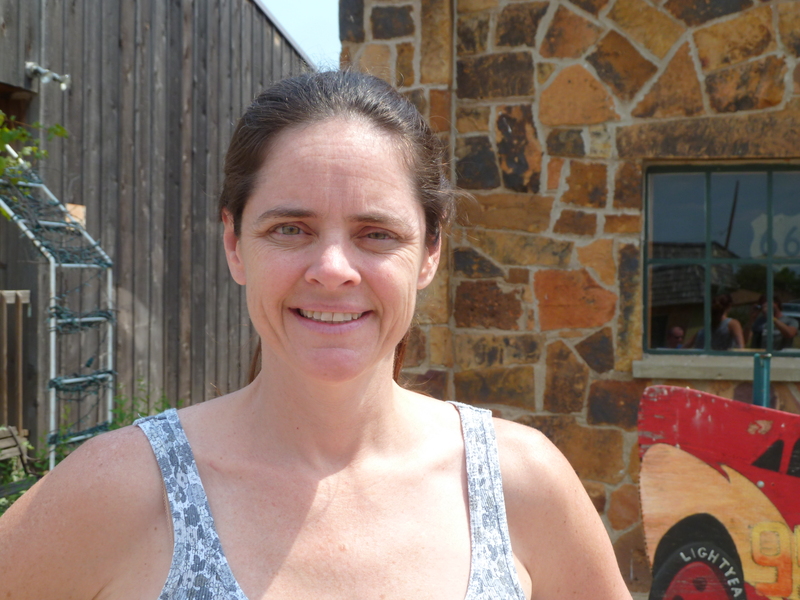 Her name is Dawn, the owner of the Rock Café, about an hour north of Oklahoma City, but her story of determination and achievement rivals that of any great movie happy ending. So much so, that John Lasseter, the movie great behind Pixar, Toy Story and Monsters Inc, was so moved by her tale, that he based a complete character in his film Cars on her. 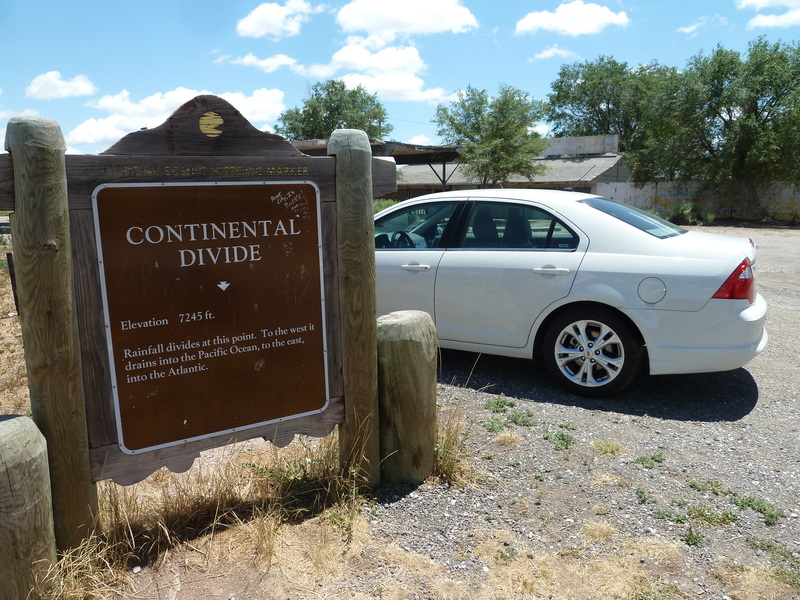 It was one of many stops during two long days of driving that have taken Ian and I from the outer edge of the Grand Canyon in the west, through the Indian Navajo regions and deserts of Arizona, across New Mexico and now more than halfway along the famous route 66 towards Chicago. It has been a journey of contrasting landscapes, mixing between wide expanses of nothingness, interspersed with a few hills, to mountainous regions of forests, rivers and greenery that glide by the windows of our Ford Fusion as we make our way east. 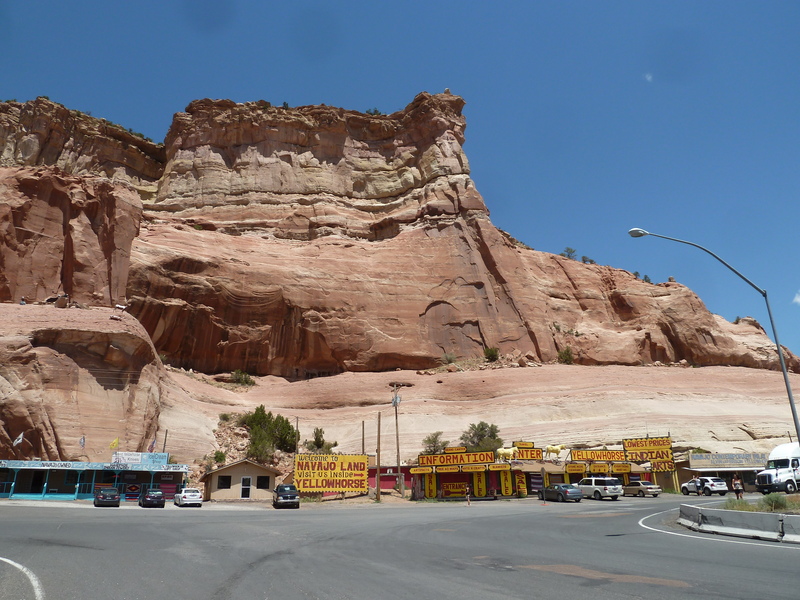 One of the interesting stops was at a Navajo village, set beside a rocky outcrop which was adorned with old paintings and advertisements from the glory years of Route 66. 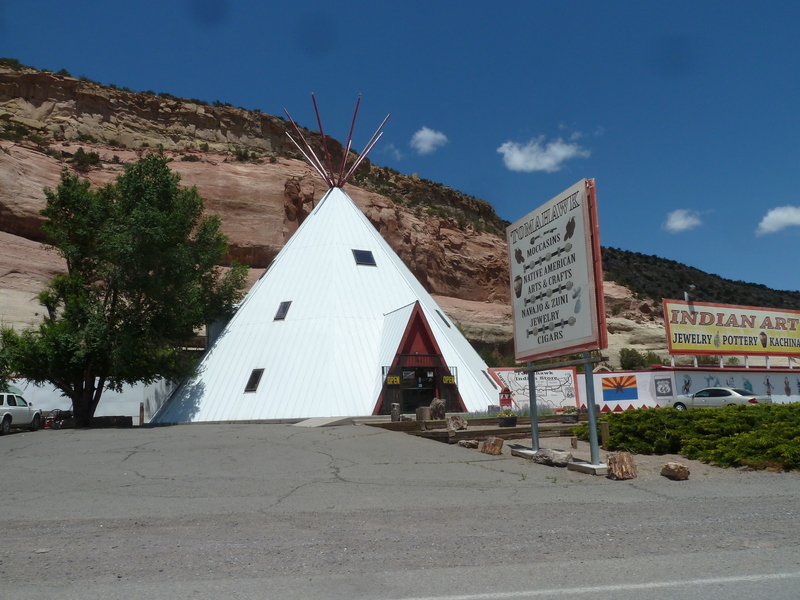 Around a giant tepee and set in wooden shops and stalls, Navajo Indian families tempt tourists in with typical headdress and moccasin souvenirs. 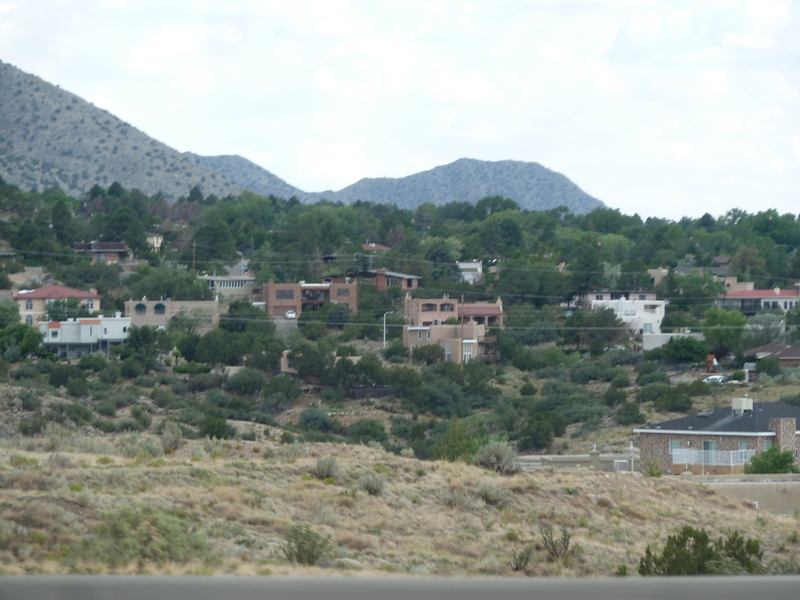 For the next couple of hours, we would see many typical Navajo homes and ranches dotted alongside the road, taking us on to Albuquerque and a lunch stop for some typically Mexican food. 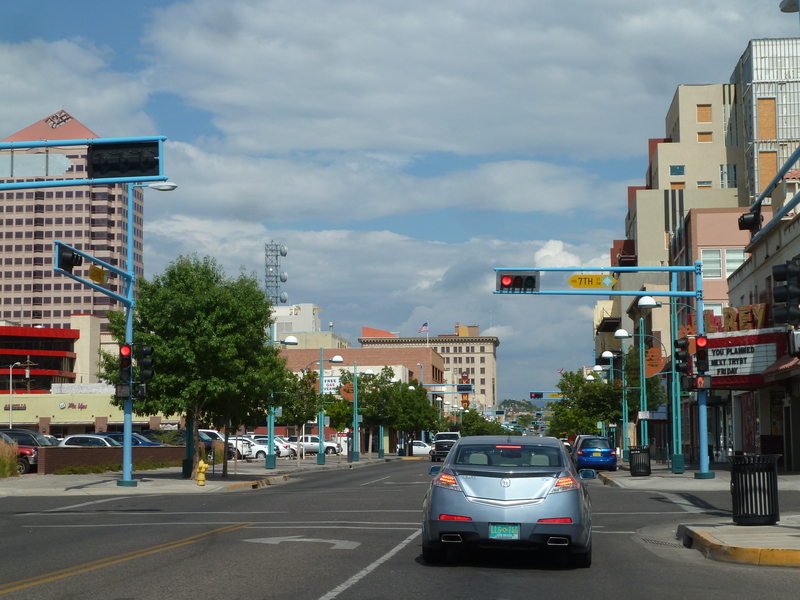 New Mexico was an interesting state to pass through, and very much a place where, for the first time, it no longer felt like I was in the United States. The typical American wood-clad houses and neighbourhoods had changed into much smaller and low-rise homes with a far from typical American appearance. They reminded me of the small terracotta-coloured homes you would find in Mediterranean or Morocco, and I’m presuming what you would find in Mexico, although I have never been there to back up that assumption. 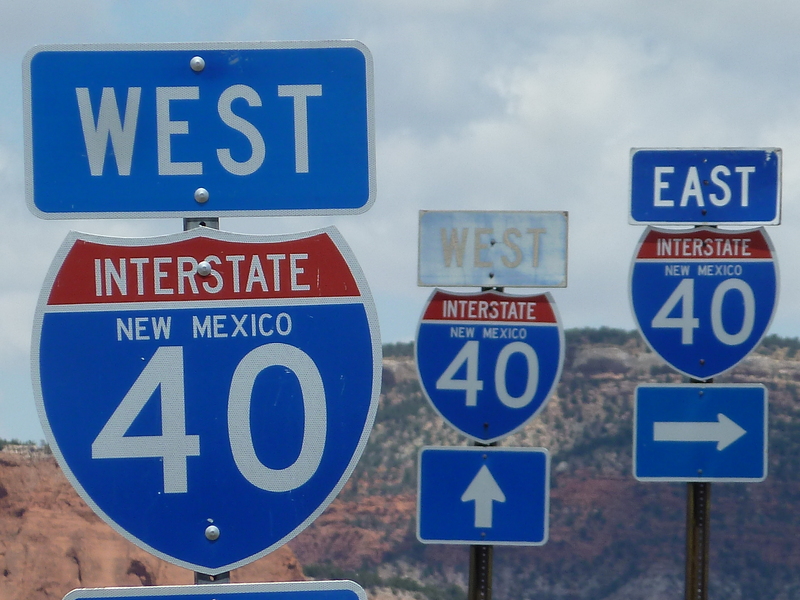 Either way, travelling through the state at times felt like we had been transported to another country somewhere, but with Texas on the horizon, it is only a matter of time before the big, brash normality of the USA is restored. Life on the road is becoming increasingly normal as we eat up the miles. Ian and I are sharing the driving, doing anything up to five or six hour stints behind the wheel. It is not uncommon for us to fill up the tank, sit behind the wheel and drive until the gas has all been burnt, only stopping again to fill up once more or grab a bite to eat – or to top up on the caffeine levels thanks to copious amounts of cheap coffee you can buy at the service stations. Not only that, you get a wide range of different flavoured creams to pour into it. So far, the ‘chocolate, Irish Cream, hazelnut and French Vanilla’ concoction I produced during one particular coffee chemistry routine at the pumps has been my favourite – and you get a bucket-sized cup of the stuff for less than a pound. Take that, Starbucks! Thumbs up on the road! 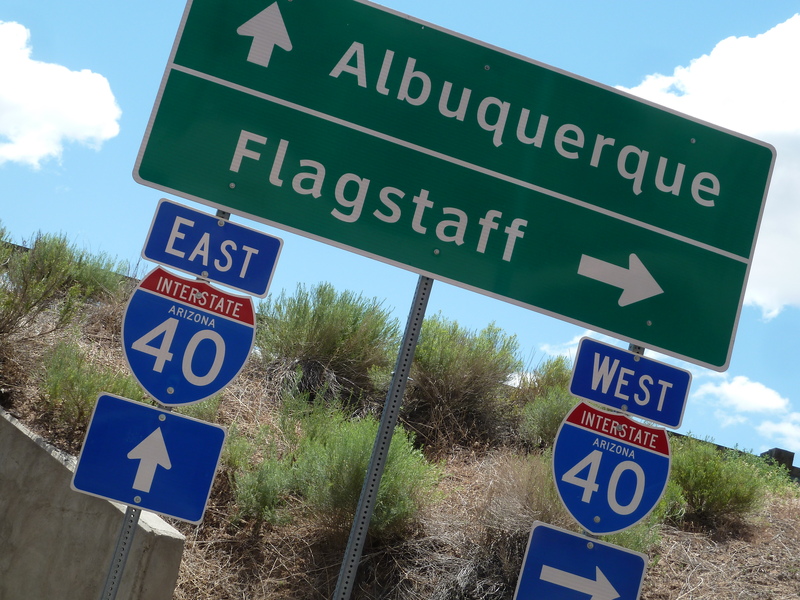 Much of the driving in the early part of the roadtrip was done along the Interstate system to save a bit of time and keep to our tight schedule, but thanks to some long drives into the night, we’re now dipping on and off the old Route 66 much more. One of those drives took us through Texas in complete darkness, including a point where we crossed the halfway point on the route at Adrian. 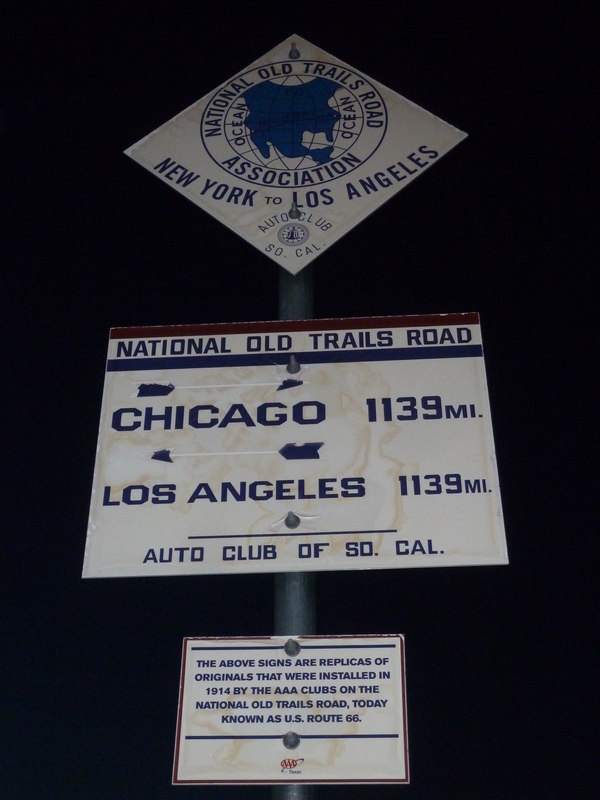 With 1,139 miles either side of us, the Pacific to the left, Chicago and the lakes to the right, we knew that we were making good progress. 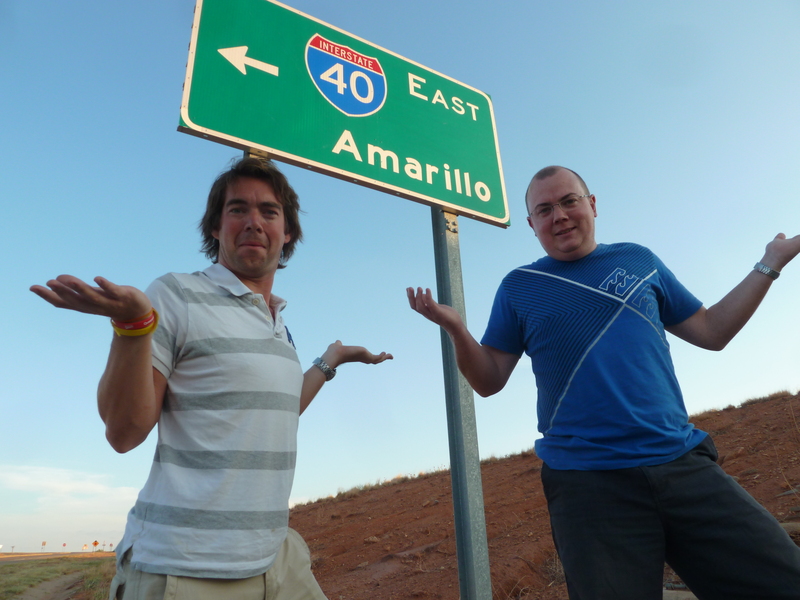 There were lighter moments too, including our arrival into Amarillo. Sadly, with it being so late at night, we couldn’t stop properly to have a look around at the town made so famous by ‘that’ song. We did, however, find a copy of the single hidden in my iTunes library on my laptop, and thanks to a double-ended headphone jack, played it on repeat a few times as we cruised through the centre of the town. Well, it would have been rude not too. 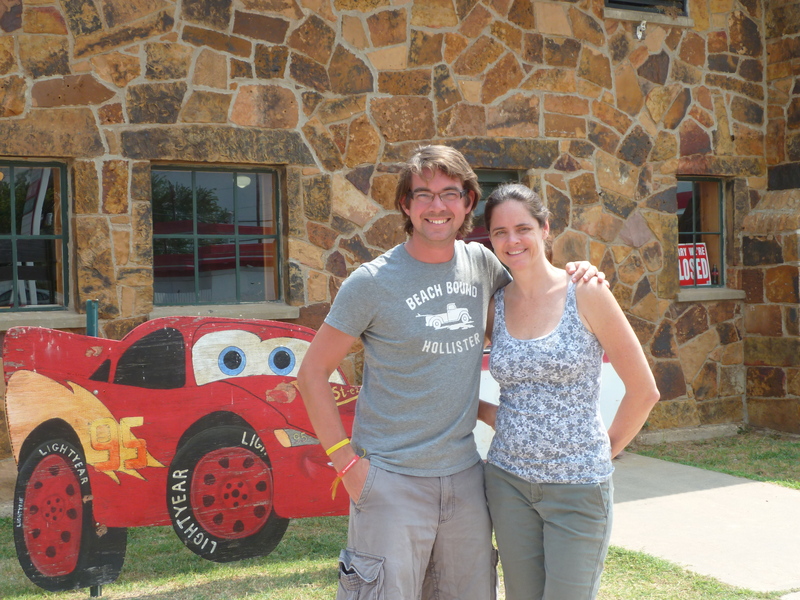 With no sign of sweet Marie waiting for me, or Ian for that matter, we continued on to Oklahoma, a state where we use much more of the original Route 66 thanks to the tolls introduced on its turnpike and highway system. Besides, it gave us many more chances to see the beautiful old towns and villages that this famous road passes through, many of which were founded purely to service the traffic that once made its way through in such large numbers. 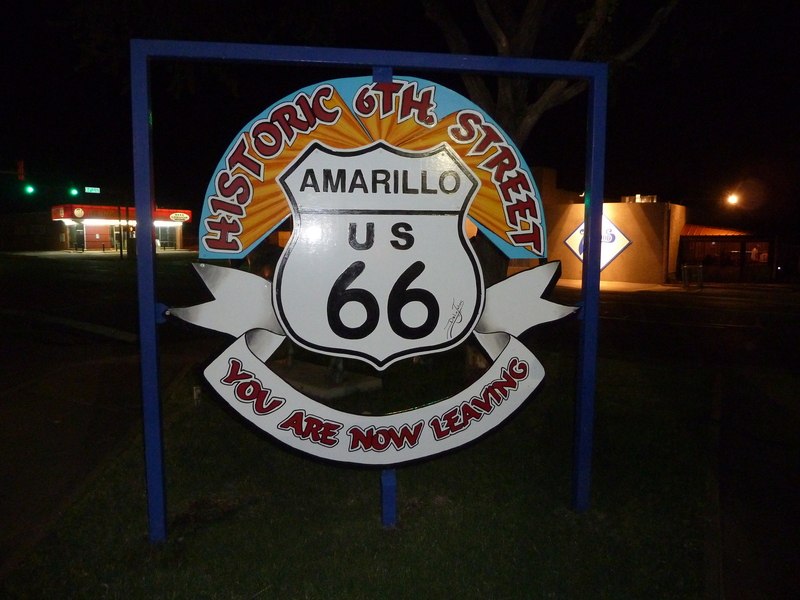 Originally known as the Will Rogers Highway, Route 66 was built to serve as a major path for those who migrated west at times of great hardship, looking for a new future and money away from the populous cities in the east. People doing business along the route became prosperous thanks to the growing popularity of the highway, and up sprang huge numbers of service stations, cafes, restaurants, truck stops and diners. But, with the rise of the Interstate Highway System, traffic was gradually taken away from the 66, and with it the livelihoods of thousands of people who made a living and depended on the through trade. 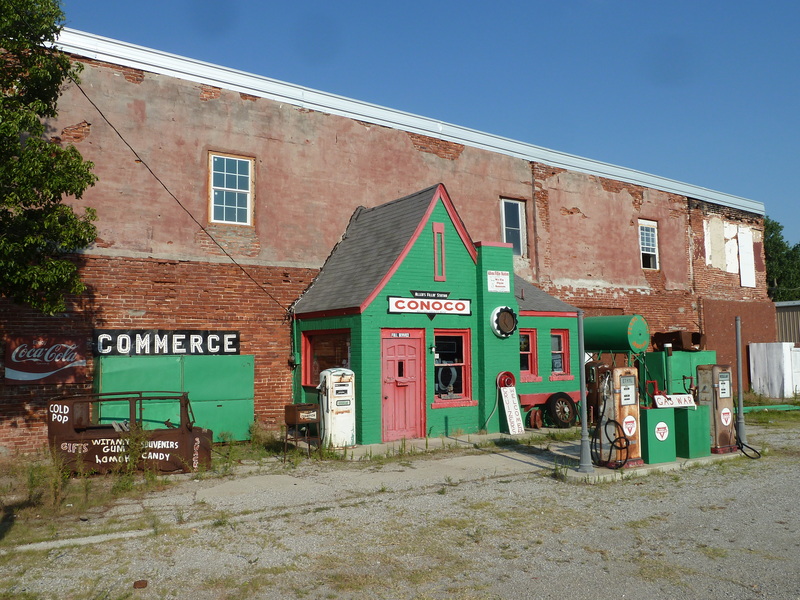 Many of those former businesses now stand empty, disused and dilapidated along the roadside. Once busy villages and towns full of neon signs and life have become empty shells, a ghostly reminder of how the boom and bust lifestyle of those times still have an impact even now. It is a sad sight to pass by former gas stations and diners where the signs have faded, the roof has caved in and windows have long been smashed. 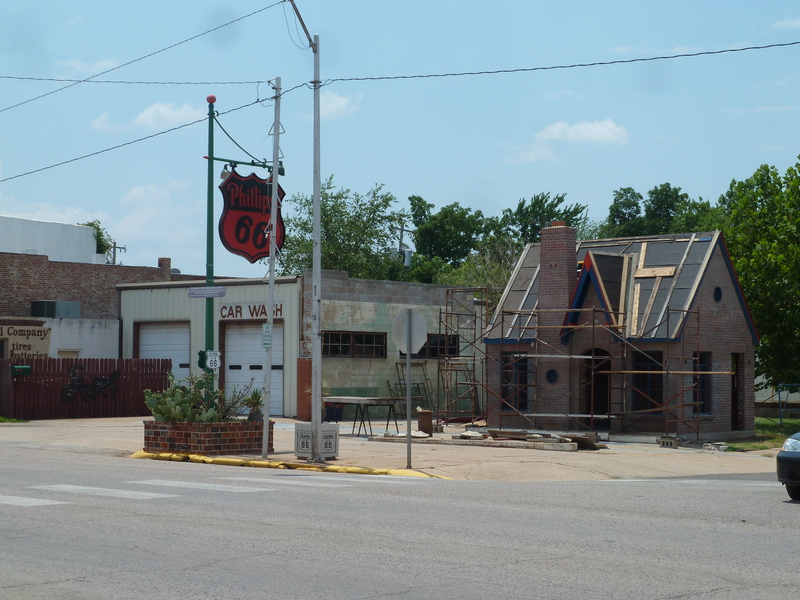 It is impossible to pass by and not think of how it all must have been during the Route 66’s heyday. 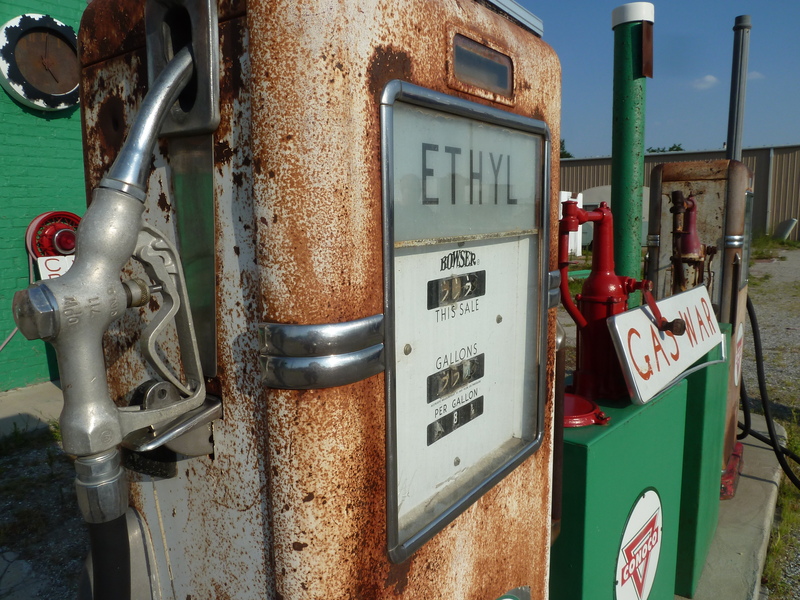 But there is a growing band of people now fighting to keep the highway alive, and indeed, in many villages, those sites of historic interest – the former gas stations and eateries that once fuelled a migrating nation – are being restored and repaired as a lasting attraction and reminder of the road’s importance. Which brings me on to The Rock Café, which was established in 1939 at the dawn of the motor age and a time when Americans were starting to move around their country. The venue is even built with rock excavated during the building of the road. 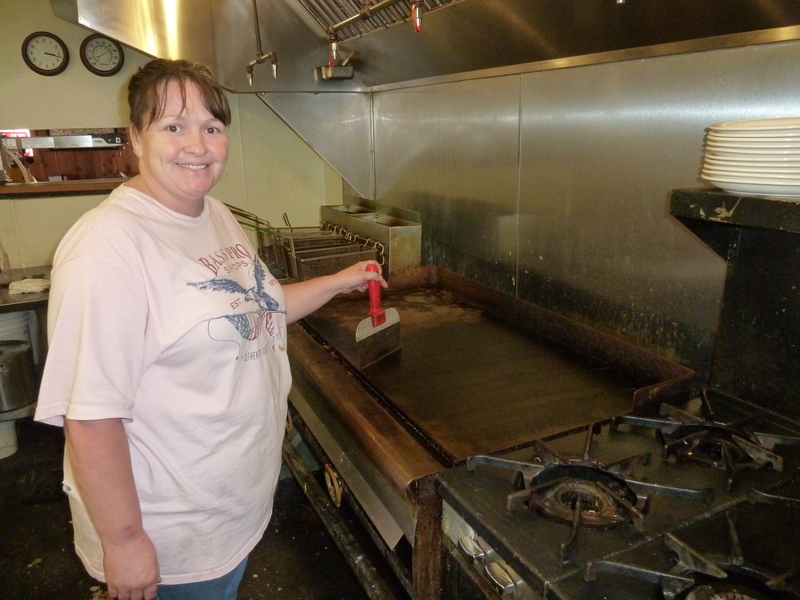 Dawn Welch bought the struggling café in 1993 as visitor numbers dwindled when traffic on the 66 began to dry up. But where other small towns and villages along the famous road were being deserted, Dawn went against the flow of businesses heading back to the big city. 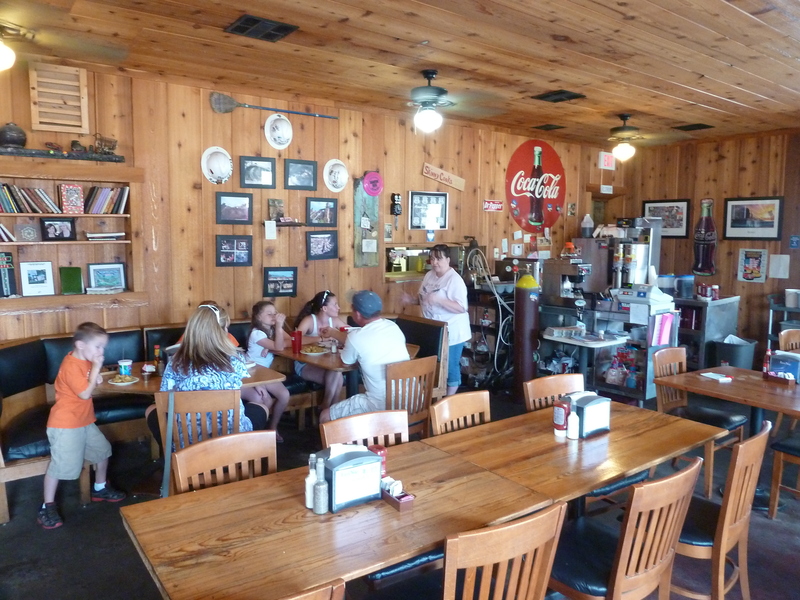 She turned around the café’s fortunes, serving good food, a big welcome and plenty of nostalgia and memories for people making the long trip. Indeed, it was her passion and commitment that inspired John Lasseter and his team when they stopped by while researching for the film Cars. So taken by her personality and dedication, they would go on to visit many times, basing the character Sally Carrera, the blue car, upon Dawn. “When you watch the film, there are so many little things that they picked up on from me and included in the plot, even right through to problems with my neon sign,” she says, smiling at me from an opposite table. 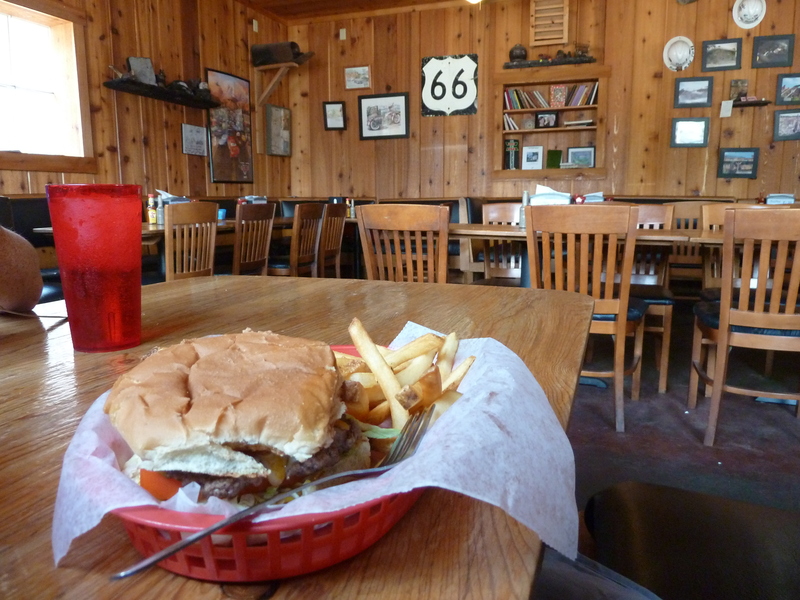 And so all was going well – the walls were full of momentos and nik naks from the glory years of the 66, celebrities would have their photos on display, and for anyone who was travelling from west to east, the venue became a ‘must visit’ before or after hitting Oklahoma City’s busy streets. But disaster struck in 2008. Her entire livelihood burned to the ground in just a few hours. All that was left standing was the original stone walls, a few charred remains and the trusty original grill, affectionately known as Betsy, which defiantly remained in situ in the kitchen where it has prepared more than five million burgers since being put in place in 1939. For most people, the nightmare of that night would end the dream, but not Dawn. When most experts were telling her to bulldoze the remains and start again, Dawn was defiant. “It was just a fire, not the end of Rock Café,” she told one reporter at the time. A year later, she proved good to her promise of rebuilding the café within the original walls. 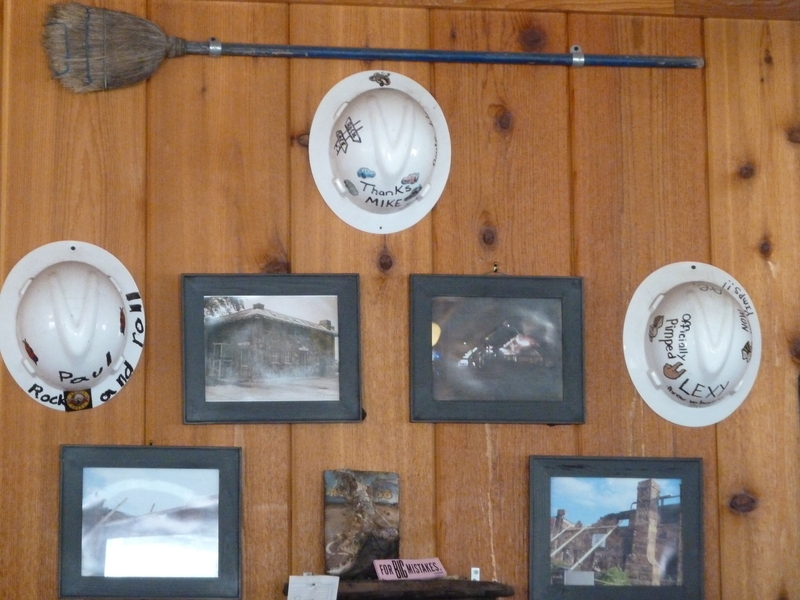 A broom, almost worn to a stump during the clean-up, frames photographs of the damage and helmets worn by firefighters as they tackled the blaze on the wall of the new café. 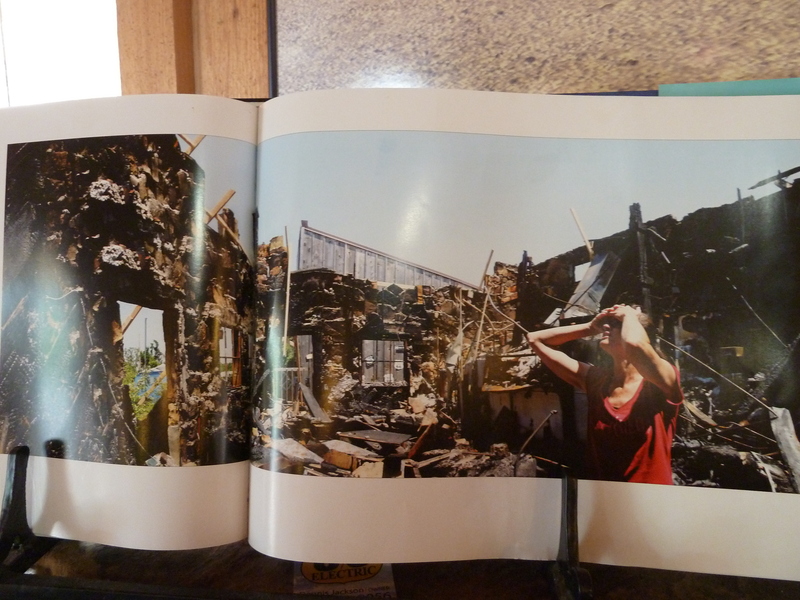 Some of the charred Route 66 books sit on shelves as a reminder of the inferno which once took hold on the spot where they now stand. Betsy the grill is once again cooking some of the finest food around, to the delight of diners from across the world. “Which t-shirt do you think we should sell?” Dawn asks me soon after I have taken my seat at the dining table, pushing her laptop under my nose. 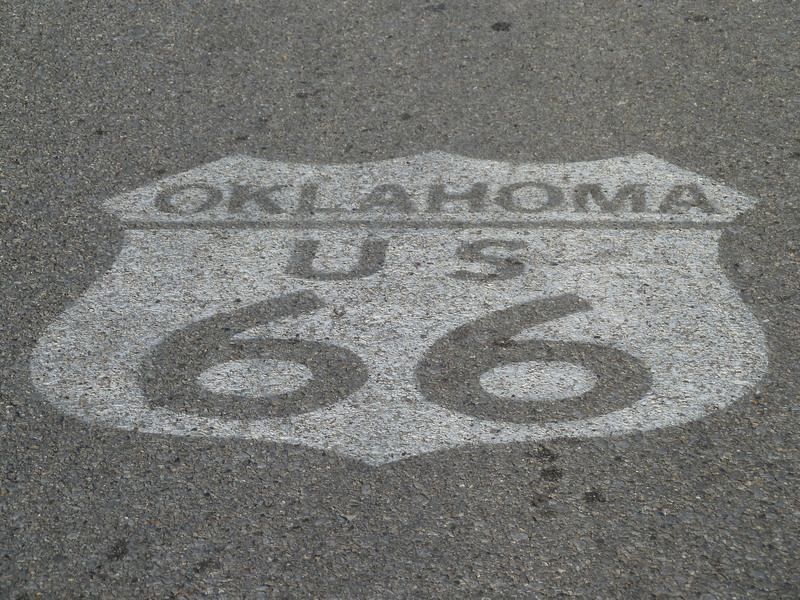 There are two designs – a red shirt with a white motif depicting the grill, Route 66 logo and ‘Betsy’ draped across a grill. I told her to go for the one including the grill – with the advice that it is a major selling point of the café that she should embrace and make much more of a feature of. 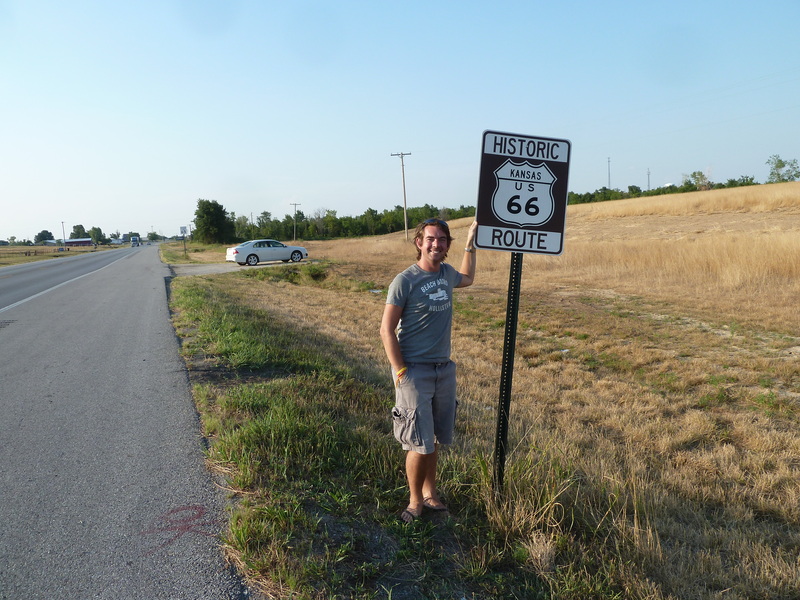 And so somehow, I had now decided which t-shirt one of the most famous cafes on Route 66 will be selling from now on. Dawns enthusiasm for her business, her customers and the famous road that passes by the window is infectious. 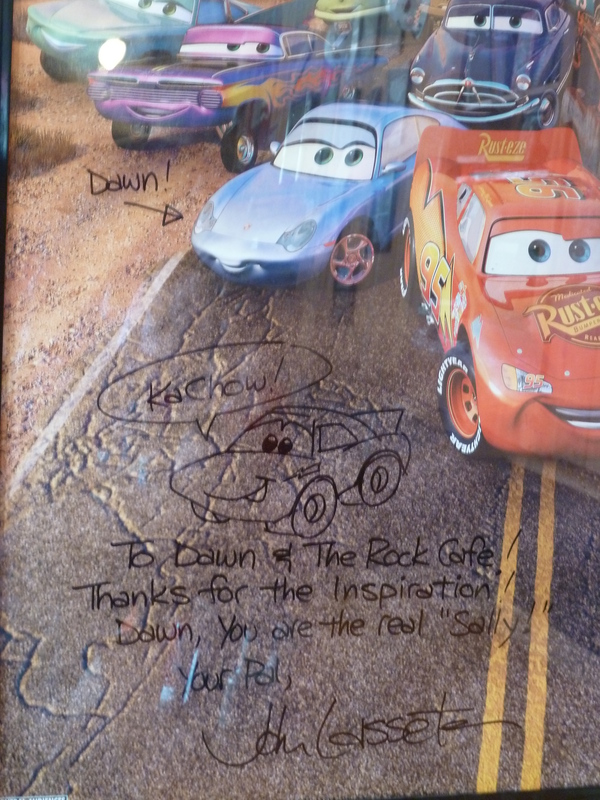 It is easy to see why one of Hollywood’s most famous film producers wanted to include her in a movie, and Lasseter’s personal messages around the restaurant are proof of their close friendship. After a very good cheeseburger and fries, prepared on Betsy of course, it was time to move on. 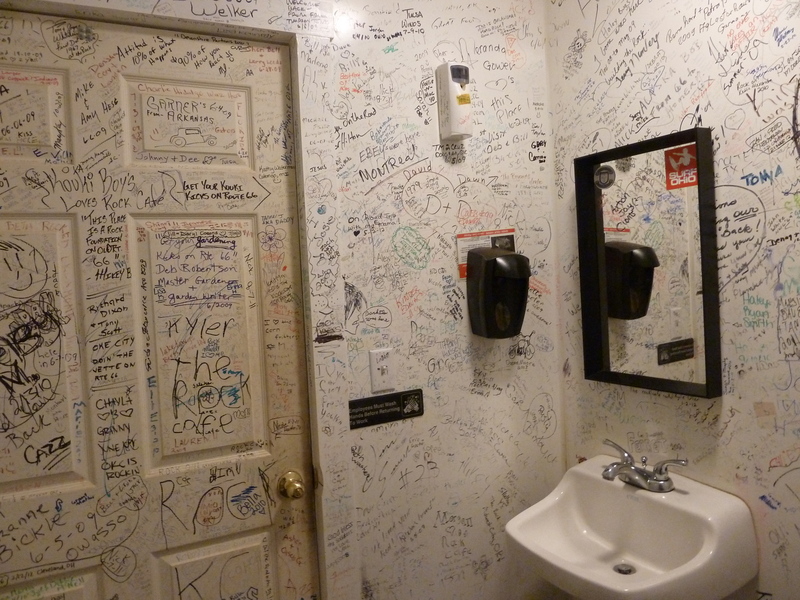 As is tradition, and indeed encouraged by Dawn and her team, I signed my name on the wall of the bathroom, a lasting mark of my journey that joined the countless others who had passed through before me. 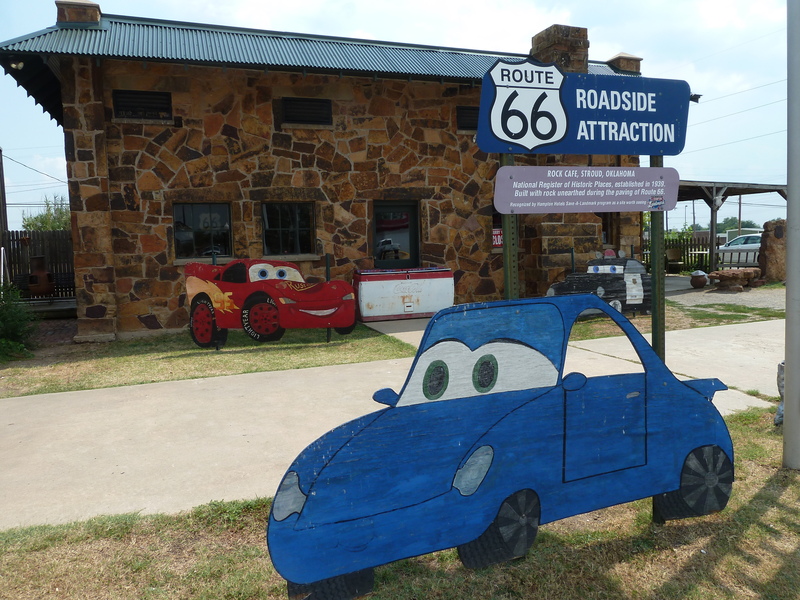 From Oklahoma City, Route 66 turns north and up into Kansas, although not for long. 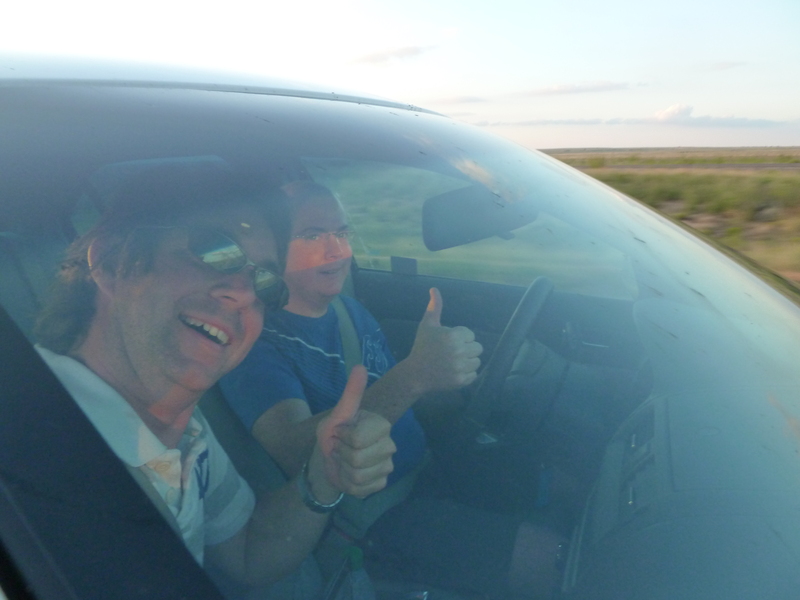 Infact, we took more time taking photographs to document our arrival in yet another state than we did actually on the move through it – just 30 miles or so meant we left almost as quickly as we arrived. It was about an hour in the state, full of farms and rural fields evoking memories of the Wizard of Oz. 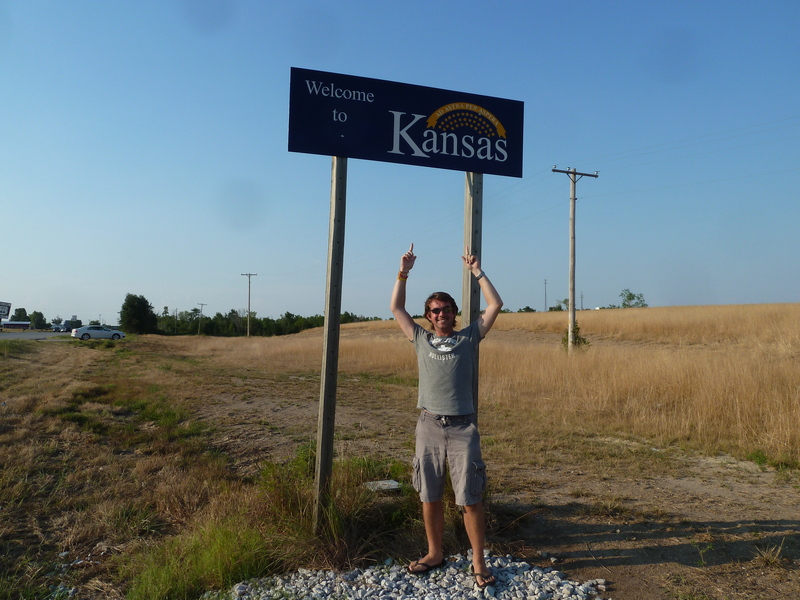 Thankfully, there were no tornados, but sadly no yellow brick road either – just another long leg of driving through Missouri and up to St Louis. 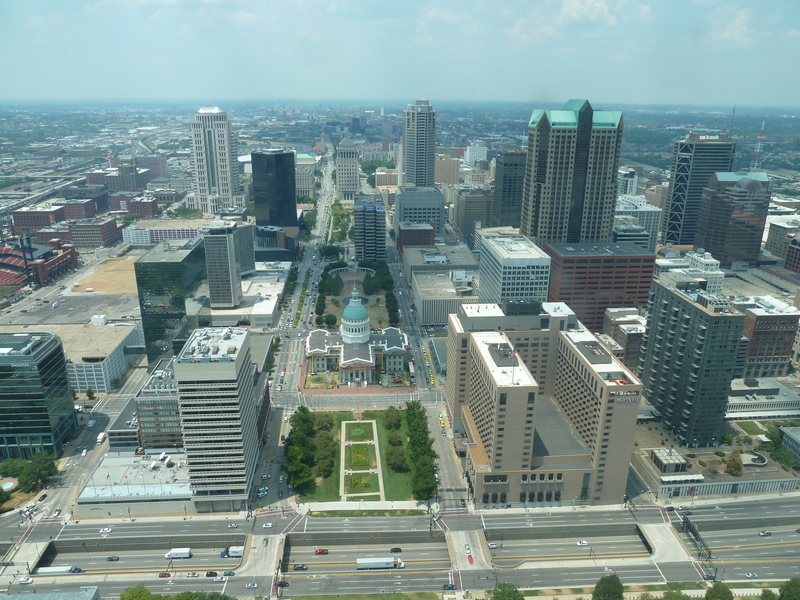 The skyline is dominated by the Gateway Arch, which at 630ft, is the tallest man made monument in the United States. 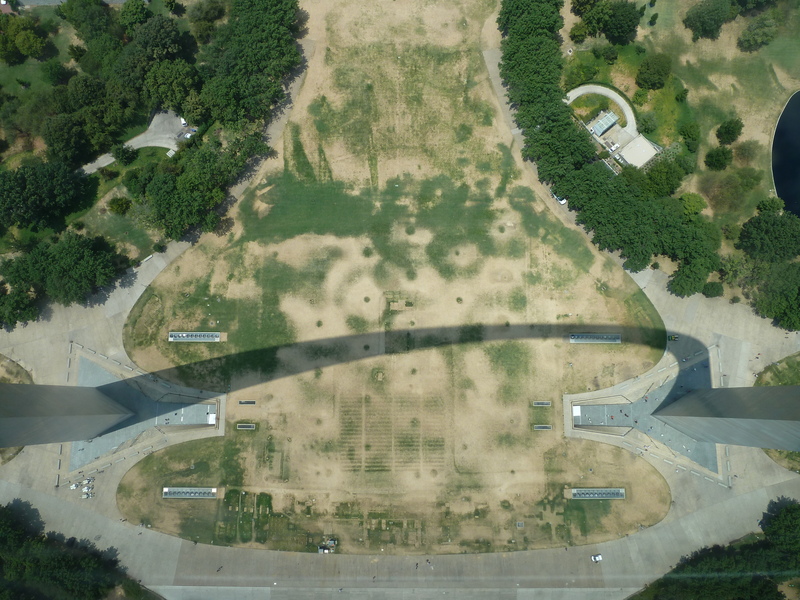 Built on the west bank of the Mississippi River, it commemorates Thomas Jefferson and St. Louis’ role in the westward expansion of the United States. With just a couple of hours in the city, we decided it was the main attraction to see and bought a ticket for perhaps one of the strangest forms of transport on my trip. 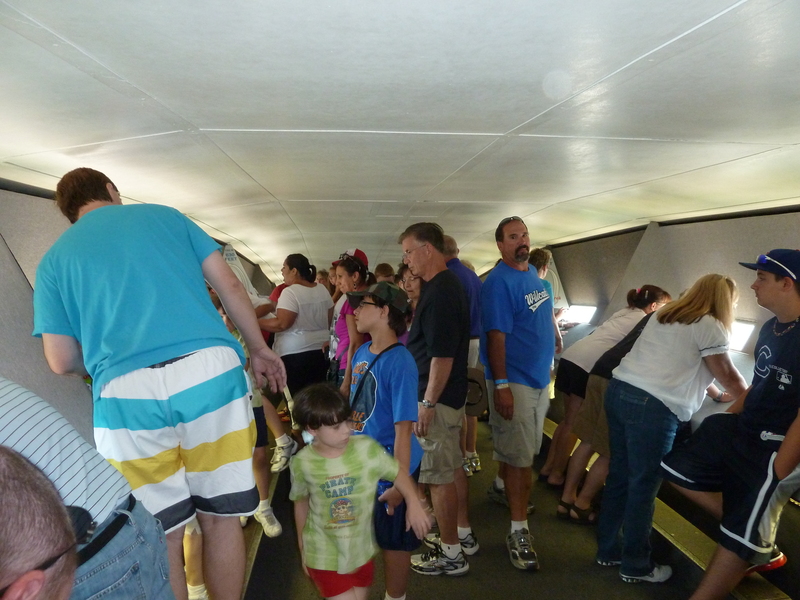 Thanks to the narrow design of the arch, you are transported to the top inside a peculiar monorail-type machine, where groups of four are ushered into pods that somehow stack up on top of each other as they cleverly move around the structure to the top. Every few moments, the pods are all mechanically moved to keep them upright, jolting and rocking as the four minute journey inches everyone to the top for spectacular views across two states. 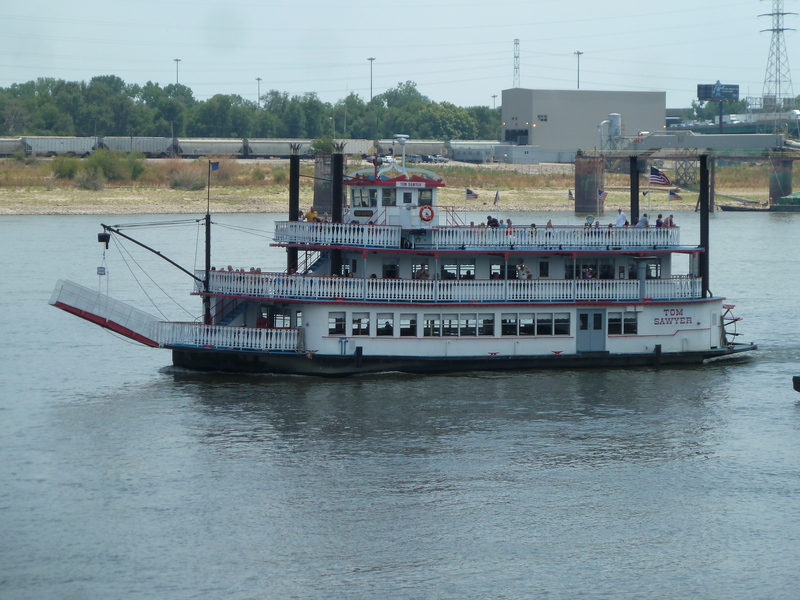 Below, paddle steamers that once filled the Mississippi sail around with a few tourists onboard, taking in the views from the brown-coloured river. The windows at the top were small and narrow, affording just enough room to look straight down below for a strange feeling of suspension, with nothing directly below us thanks to the clever design. Headroom was limited at times, but it was definitely a great half an hour of taking in the vista. Heading back to the car, we stopped to touch the Mississippi, only to be surprised at finding a number of dead fish on the banks of the river. It turns out the waterway can be particularly polluted in places, and it was sad to see so much wildlife suffering the effects. 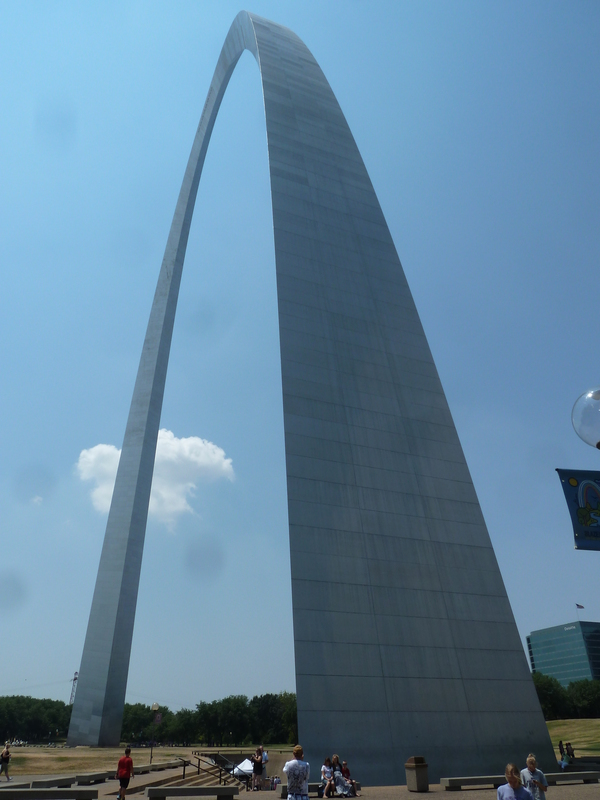 We turned around and headed back to the car, looking back at the arch. From the bottom, it can look like some kind of futuristic space vehicle, something from a science fiction movie that has landed in the centre of the city. Back at the car, the final leg of this long road journey to Chicago was upon us. We could almost hear a groan from beneath the Ford badge as we approached to wake our transport from its brief slumber. Either that, or Ian’s getting hungry again.